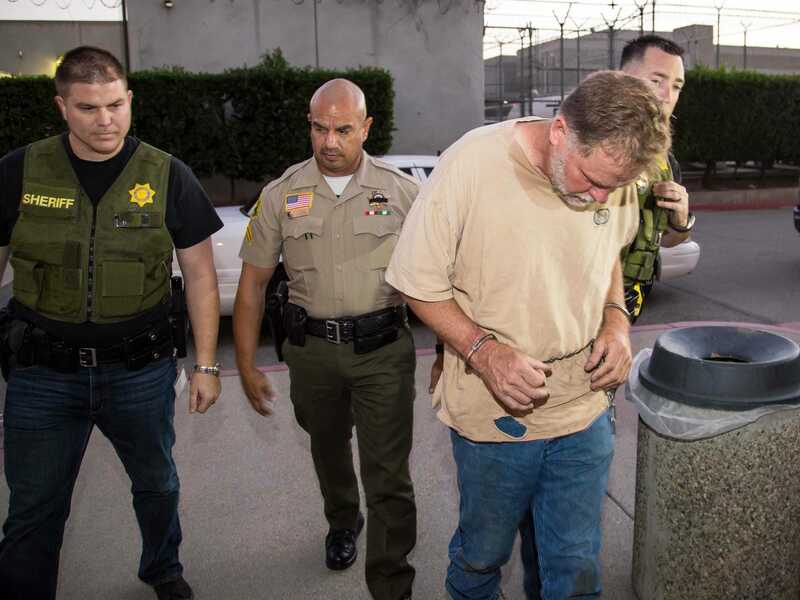 APInvestigators from the San Bernardino County Sheriff’s Department Homicide unit take Charles Merritt into custody for the murders of Joseph, Summer, Gianni and Joseph M. McStay in Victorville, Calif.
A 57-year-old man who was just arrested for allegedly murdering an entire family in California four years ago started talking to the media about the case last year. The McStay family murder case is a bizarre one. Police investigated the case as a disappearance until the bodies of married couple Joseph and Summer McStay and their two young children were found in a remote area of San Bernadino County, California in November 2013. Police didn’t arrest anyone for the murders until recently. Authorities announced at a press conference on Friday that Charles “Chase” Merritt, a former friend and business associate of Joseph McStay, was arrested on Wednesday and is the sole suspect in the murders, which are believed to have occurred in the family’s home near San Diego. Police aren’t yet releasing a suspected motive for the murders. Merritt was reportedly the last person to see Joseph alive. Police interviewed him early on in the investigation, and after that, he faced years of “accusations, gossip and outright lies,” as the Daily Mail put it in a story last year. The Daily Mail story from last year featured an extensive, exclusive interview with Merritt, who seemed eager to clear his name. The Daily Mail advertised that Merritt was finally breaking his silence to “reveal new clues” in the murder mystery. The interview was published amid renewed interest in the case after the family’s bodies were found. 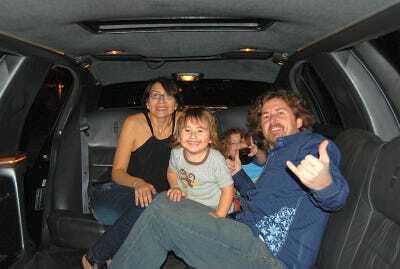 Merritt rightly insisted that it’s unlikely the McStay family left their home voluntarily and fled to Mexico, which is one theory that began floating around after the family disappeared. Earlier in the investigation, the family’s car was found abandoned near the Mexican border. Merritt told the news outlet: “I was the last person Joseph saw. He came to Rancho Cucamonga on February 4 to talk to me about a huge business deal we had going on in Saudi Arabia. Joseph ran Earth Inspired Products, a waterfall and garden accessories business, and he often bought custom waterfalls from Merritt, according to CNN and the Orange County Register. Phone records showed the last call Joseph made was to Merritt later that night after the two met to reportedly talk business. “I didn’t answer that call and I regret it to this day,” Merritt told the Daily Mail. Merritt said that a few days after that meeting, he drove out to the McStay home out of concern for their well being. A few days after that, he went with Joseph’s brother to check out the house, which they found empty. Strangely, early reports said there were no signs of a struggle in the McStay family home, but police said at a press conference on Friday that the home is where they believe the murders occurred. The day police entered the home to search for the family, eggs and a banana were found left out on the kitchen counter and bowls of popcorn were found in the living room. Merritt is now suspected of murdering Joseph and Summer along with their children, 4-year-old Gianni and 3-year-old Joseph Jr. The cause of death is believed to be blunt force trauma. Merritt has several prior convictions and two state prison stay on his record, according to authorities. He’s previously been convicted of burglary and receiving stolen property. Merritt seemed frustrated that people suspected him of the murders, so he agreed to take a lie detector test for the police. “I spoke to my girlfriend about it extensively and decided, you know what, I’m just going to do the damn test, so they can forget about me and focus on something that might actually help find him,” Merritt told the Daily Mail.